My co-leader and good friend, Katie! I love the mountains. They are a refuge for me. Some people love the ocean, more specifically, the beach. I love the mountains. I have always wanted to live in the mountains. Being out in God's creation, where I cannot see what man has done with it, is a joy to me. For the last couple of months, I have had a longing for it, that will not go away. Having the opportunity to live at the camp a couple of years ago was incredible to me. Being able to see the deer and other wildlife come up to the window to eat thrilled me beyond words. I miss that. I appreciate the home the Lord has provided for us, but I want to be out closer to His creation, where less of man is evident. It's not that I don't like people, I just sometimes need a change of scenery. I feel like I understand the passages from the Gospels that speak of Jesus going to a quiet place to pray. I know in at least one, it says he went to the mountainside to be alone and pray. Here He found unity with the Father. Here, away from the masses of people, He was close to His Father in Heaven. I used to take hikes in the woods outside our door (at the camp) to get alone with Him. They are some of my favorite experiences. I could not hear traffic, I could not smell exhaust, it was just the Creator, and His created. After BJ passed away, I would go out and sing praises to my Savior, at the top of my voice. I would also let go and weep with abandon. Few places afford a man that kind of sanctuary, that kind of freedom. I long for it. I no longer have the luxury of those places being so close by. It is a new season of life. One we have been trying to walk obediently. My heart grows restless. My thoughts scattered. Focus seems an elusive friend, where it had become a routine companion. God called Moses to the mountain on more than one occasion. He went, he abided, he served, and the Lord used him in amazing ways. I am not so sure I seek anything but refuge. Jesus sought "oneness" with the Father. The Father told Moses "come up here and be here." He wanted him to quit worrying about the past, and not look ahead to the future, but to simply dwell with Him, in the moment. I think this is what I really want. Sometimes, among all that man has created, this seems an unattainable dream. Out in the beauty of God's creation, it becomes more tangible. Away from all that fights for your attention, just the created looking into the eyes of the Creator, the clay seeking the Potter...while He may be found. Perhaps a new spin on the wheel would do me good...oh wait, I'm not sure I've ever been pulled off...though sometimes, I do believe I have tried to remove myself. I just want some face time with the Master. To be honest, as much as I long for this, some of the most precious times I've had with Him alone, have been in the midst of a very busy schedule, with many people very close by. Perhaps it is an illusion that I seek. I am thankful that He is not. He is Truth and has sent the Comforter. He will provide! 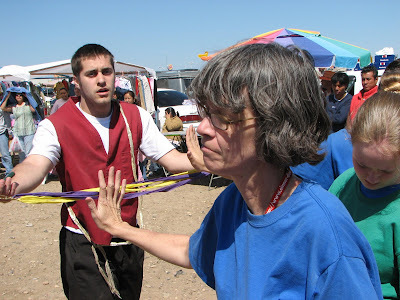 This is Jenn, one of the young ladies from our Mexico trip, who experienced her own Rite of Passage through this experience. The other night I was doing some work on my laptop, here at home. I was in the same room with Deanna and Lauren, but got pretty focused on what I was doing. The time came when they were headed off to bed, so I shut everything down, grabbed my empty tea glass and computer and headed for the kitchen. The lights had been turned off, but there was enough light from our entry hall for me to see what I needed to...or so I thought. The rooms that lead to the kitchen have pergo flooring. The kitchen floor has smooth white tile in it. This is not usually an issue. Tonight it was. I had noticed earlier that Deanna had left her spot where we were seated, and I began to hear kitchen clean-up type noises. I thought about how hard she works and how much I love her, and how fortunate I am to be married to her. Then I drifted back to the computer. As I headed to the kitchen that night, I was realizing that Deanna was already in our bedroom. More time passed than I was aware of. Lauren sat nearby at the piano, working out a new song. I was feeling a bit guilty and mildly annoyed with myself for not getting up when Deanna did, when the unexpected happened. I was crossing from our dining room into our kitchen when it happened. The thing every man doesn't like thinking about, but fears one day may come to pass. One foot on the dining room floor the other in the kitchen and suddenly I was doing the splits. My foot had hit a recently mopped floor that was now shrouded in darkness, and it came out from under me. In those brief moments where I went from upright to upended, I secured the glass and computer to protect them. The result was that I landed hard the left of my backside! So hard that pain raced through my body, and I grew lightheaded. Lauren came running followed by Deanna. Lauren grabbed the contents of my hands and I rolled over to get my head as low as possible to stave off the passing out I was afraid was coming. I was reminded in those moments of a study I was recently doing on Ephesians 6 the full armor of God. I was reminded because I had learned something I never knew before. The passage that conveys that we should shod our feet with the Gospel of Peace implied something much deeper than I knew. The picture of this returned to my mind and caused me to wish I had been adorned with these shoes. In that day, the Roman soldiers wore shoes that not only had grieves to protect their shins, but were fitted with spikes to make their footing sure and could double as lethal weapons. I should always be ready, in any situation. Having the full armor of God protects and brings readiness for being defensive or going on the offense. I know I was only taking my glass to the kitchen sink, but had I paid closer attention to what I was doing, had I been fitted with the right shoes, I would not have slipped. How often is this true in our lives. We are mindlessly doing something of seeming relative insignificance, when the enemy attacks and we are not prepared. There is a price to be paid for not being prepared. In this case, I am still sore, and expecting a beauty of a bruise. Fortunately, that is it. Often times, we sacrifice our Savior's reflection from our own lives because we are not prepared enough to deal with the unexpected. We need to be ready at all times. Not just having our feet shod with the Gospel of peace, but every element secure in position, that we might bring Him the greatest glory! Watch your step, and I'll gingerly be watching mine. This picture reflects the rejection of Christ. Logan who is portraying Christ, was with BJ in Peru in '05. BJ confided in him that the Lord had called him to lay down his life. Marti, playing the rejector of Christ, is known by most of you from this site. Four of her children preceeded her on Awe Star Missions trips. This time it was her turn. You can read her comments about it on yesterdays blog. I remember the feelings Deanna and I had when we talked to BJ on the phone while he was in Peru in '04, and he told us he was coming home a man. That encounter and our reaction will always be etched in my mind. I am not sure I ever fully contemplated the levity of our reaction until recently. We had a young man on our Mexico team who was the age Beej was when he first went to Peru. This young man, like BJ before him, surrendered his adolescence to take on a signficant task, and enter his manhood. He was one who initially was a bit awkward, and uncomfortable around others. He seemed a bit of a loner, in many respects. Upon arrival in Mexico, as we began teaching, this young man responded in earnest! He responded to every challenge. He stepped up and began (reluctantly at first) sharing his faith, looking out for the women on our team, and participating as a valued gifted member of the the body. Changes began to take place. He began to open up. A smile found its way to his face. He engaged in every activity. He began to understand who he was in Christ, and accepted the responsibility therein. 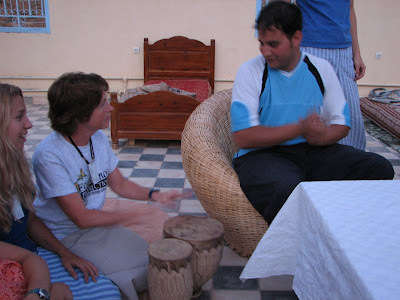 He was one of the students I come home from these experiences raving about. God moved in his life and it was apparent to everyone on the team. We took opportunities to pour into his life, and he responded to God's leadings that resulted. It is truly a beautiful thing to observe. It is one of my favorite things to see happen in life. By the end of the trip, he was fired up! He understood what the Lord needed from him, and he responded very well. His confidence level grew. His experiences were in sync with the teachings he'd heard, his life was being yielded to the Lord in new and exciting ways. I am very proud of him! Upon the return home, he would be immediately tested. He unloaded himself from the van, found his parents, and proclaimed, "I am now a man." He was quickly rebuffed and told in no uncertain terms, that his parents would have none of that kind of talk. Those who witnessed it, saw his countenance fall. A family member told me that he has been repeatedly shot down since returning home, as it seems he is being forced back into the mold his parents understand. This experience has caused me to take a look at my own reaction to BJ's similar declaration. We did not initially believe him. God revealed to us that in fact it was true, and when he returned he proved it. My prayer is that He does likewise in this home. This young man was ready to take on whatever task the Lord put before him, and then in just a few moments, he was downsized to a worldly perspective. I think the problem is pretty clear. Most parents struggle to assist their children in becoming men and women of God because they still do not know or understand who they are in Christ, themselves. There is much to do to assist them. The question is, how to reach those parents, except through their children. Most often, we do not have the ear of the parents the way we do the student. Many parents will not listen to their kids in these matters as they believe they already know best. In many cases they do. Their authority stands and that is Biblical. However, when parents reduce their own children to less than God wants them to be, change is required. Education is necessary. We will not catch up to the rest of the world with Rite of Passage experiences until our culture decides it is more important for students to take on significant tasks, than to laze around in malls, theaters, and other local hang-outs. They want to be adults. They want significant tasks. In most cases, they just don't have anyone showing them how and then reinforcing the experience. Change needs to begin with you and me. We can't afford to let those around us miss out on God's best for them, because we got in the way, or simply didn't believe. Believe, and watch them change. They will still need your authority, your love, and your instruction, but they will take on more than you expect, and deliver more than you think possible. While Katie was atop the van shooting the whole team, she went ahead and snapped this one, too. One day while we were returning back to the church around dinner time, after a full day of ministry, we noticed a slow down of traffic. When we reached the bottle-neck, we realized that it was a military checkpoint. There was a strong presence of the Mexican Army in armored vehicles with machine guns pointed at each vehicle as it passed. We were fortunate enough to be selected as one of the vehicles they would pull over and search. The car and van we were traveling with pulled over to wait for us. We were told to exit the vehicle, which we promptly did. Our team, still in drama costume, made quite a display as they stood single file on the sidewalk while the officer went through our van knocking and pinging on walls and seats to listen for the dense sound of stowed drugs. It was hard to miss the tank right in front of us, with a machine gunner sitting atop it with a heavy caliber weapon trained on us while we waited. I was a bit weak in the knees, but knew that we were not doing anything illegal. I wondered how my team was feeling at this point. Watching their faces revealed a variety of emotions from, disbelief to fear. We were here to serve Jesus, and show them His light. We had to rely on Him in these moments. The officer was pretty straight forward in his directives to me, and I complied with each. 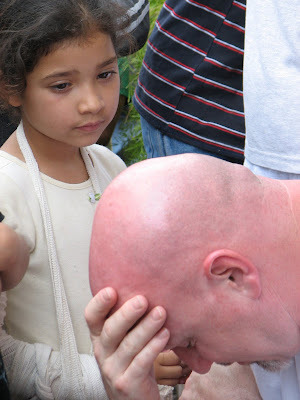 When he was finished, and before we reloaded the van, I was reminded of my son witnessing to the policemen in Cajamarca, Peru. I was a bit nervous, knowing I was responsible for this team. The translator with me (who was a national) took advantage of the situation in a way I did not. He dug into his bag and found a tract. He offered it to the officer, who willingly received it, and then exited our vehicle. In those moments when fear is the natural reaction to a situation that seems dangerous, how we respond says a great deal about our faith. I was amazed and blessed by the calm on my team. No one got freaked out or overly stressed. They simply complied. All was fine. At the end of our trip, when we were crossing the border back into the US, we were once again told to exit the vehicle and unload our entire trailor of contents. Again, I was less than enthused about having to follow these directions. Especially since we had just loaded this trailor moments before. However, I knew these men were just doing their jobs. We complied and had no issues. As a matter of fact, the lead guard appreciated our attitudeless response, and struck up a conversation. Sometimes, portraying Christ to others is about our attitudes, when words are not appropriate. This team did an amazing job of reflecting Christ to those around, when words not the right vehicle. For each of us, whether by word or deed, we need to reflect Jesus to those around us. The Mexico Spring Break team in Nuevo Laredo. The team represents 8 states plus the Dominican Republic! The only person missing is standing on our van taking the picture...my friend Katie. WOW!!! Let me just say it again, Wow! Thank you so much for lifting this team up while we were in NL! We had a blessed week. We saw God move in our lives and the lives of the people of NL. We are so thankful to be safely home, but more thankful for the great work he did while there. Two years ago, after the spring break trip, I returned to write about a prison we visited. We returned to that prison on this trip. This is an intense experience for the team. Most of this team have never seen the inside of a US prison, let alone a foreign one. Going through multiple check points, and having to surrender everything personal just to be able to go in is an unusual experience. We arrived around midday, and the sun was high position. The prison walls were flanked by turrets which had guards with machine guns walking them, making sure all was well. The wind on this day had kicked up to high gear, causing the surrounding desert to fill the sky. It was hard to look ahead. It was hard to breathe. The stench of raw sewage from pipes that shrunk a couple of inches from each other at every joint, increased the unpleasantness of the day. The interior of the prison was filled with men. They stared as we entered. That we were from the US made us suspect enough. That we were dressed in costumes only amplified the curiosity of those who had not been outside these walls of encarceration in some time. We met many who would tell us they were brothers in Christ and thanked us for coming. We would encounter even more who were still embracing the world, though it had dealt them a severe blow. Would this be the day of their salvation? We walked single file until we reached one of several churches (the one I wrote about two years ago). We entered and worshipped for a time with those who would call Jesus, Lord. We met several pastors who were part of a network of 400 who routinely visit this prison and minister to these men. We saw children and women, freely moving about the interior with their loved ones. At times if felt more like a park, except for the high walls, razor wire and machine guns. We always felt as though thousands of eyes were pelting us with their gaze. We moved to the interior open area where we set up to share the drama. We had to wait for several moments, while the inmates, brought bucket after bucket of water to wet down the sandy field where were to be. The high winds seemed to intensify, a thinly veiled plan of the enemy to try to prevent onlookers from wanting to be near us for the pictorial view of the chronology of God's plan. Many came. Some of the team were at ease, others were quite wary. The music began and so did our portrayal of the Gospel message. More and more came as the story unfolded. By the time the final pose was deployed, the hearts of many had been moved. During our time of ministry, we saw families come to Christ. We saw the Holy Spirit move over men and bring them to Salvation! We saw wives return with husbands, we saw fathers return with children as they wanted their loved ones to know the Truth! The Truth set many free on this day, our first full day of ministry. This team embraced the Savior in a very dark and vile arena, walked in His obedience, and saw Him draw many to His heart. It was an incredible way to begin a week of ministry. The intensity of the experience overwhelmed one of our veteran 13 year old's. The range of emotions moved her to tears as she tried to understand the enormity of what she had just experienced! This team is still working through this week of experiences in a similar fashion. We drew so close so quickly. God brought unity across denominational boundaries for His sake. Doctrine did not separate. It was not about anything but Jesus and making Him known. The result is many new believers, and hearts that understand obedience in a new and more distinct fashion. Brad, thank you so much for writing. I got very excited when I returned and read your posts! This was a huge blessing to me, personally! Your words stirred me, and I continue to love your heart! I pray that over time, the Lord will restore your memories of what you experienced before the plane ride home from Peru. Death is always lurking at our doorstep. The question for us all is "are we living life in Him?" The young man my friend Laura did a tracheotomy on at the soccer field improved to the point of being moments from release, when he suddenly died. It seems that his previous attempts at suicide had caused an issue to his heart that went undetected. The perusing of his journals afterwords, hint that he may have actually come to know Jesus, before his death. One day will know for sure. For now, we need to lift up Laura, and this young mans family. It is a fact that not everyone can go overseas to serve in missions. There are many reasons for this and many of them are very legitimate ones. We as Christians are called to go into all of the world so that everyone may have the opportunity to know who Jesus is. It is also a fact that when we talk about missions, most people automatically think about "overseas", just as I tended to growing up. But demographics are changing in the world. Christianity is the fastest-growing religion in the world today overall, though Islam is in the former "headquarters" of Christianity in Europe. I was reading yesterday in an article given me by a friend that in 1900, more than 80% of Christians lived in Europe and America. Today, 60% live in the developing world with more than 2 out of 3 evenagelical Christians living in Asia, Africa and South America. Christianity is said to be thriving in China and India (which shows how the love of God cannot be outlawed or defeated). At the current rate of growth of Christianity in China, this official bastian of atheism it will become the largest Christian country in the world within a few decades! Christianity is thriving where it is costly for believers to act on their faith. At the same time, it is dieing where it can be practiced freely and without real fear. Many churches are closing their doors in the U.S. because they can no longer sustain themselves financially because their members have left or aren't giving at a level that will support them. I want to believe that these tend to be the liberal churches that have so embraced the world that attendees see no difference between their church's teachings and teaching of the world around them so there is nothing that sets them apart from the lost world they are living in; what's the point of going to church when it is no different than going to...well, anywhere else? The fact is though that this isn't always the case and western Christians are often christian in name only. What does this mean for us? If there was any doubt, we are surrounded by the lost who need to know Jesus. As soon as we leave our doorsteps (and sometimes even before that), we are in the midst of a mission field, one that sees belief in Jesus Christ as their personal Savior as mythical, or weakness, or foolishness. The world of darkness tries to smother the Light of His word and when we choose to let it happen in our own lives, it will. Governments cannot destroy it, but our hearts can. BJ reached out to unbelievers and immature Christians every way he knew to do so - even when he didn't leave the house - using the phone, letters, email, his xanga site.... We truly are without real reasons for sharing the love of Jesus though I know I can be full of excuses. We may not be in Mexico today, or Peru, India, or Africa; but we are no less in the midst of a vast expanse of the lost who need to see and hear who Jesus is in our lives. In some ways this is more risky than going somewhere else to minister, because the people you share with in your community will be watching you to see if your lives are in line with your words, and they will look for any excuse to say that if it isn't real in your life, you have no place in telling them they need it in their's. Sunday we celebrate the foundation of our Christian belief, the ressurrection of Jesus Christ from the grave! Without this fact, nothing else we believe as Christians would matter more than the words of any other religion. Celebrate Him this weekend and what better a time to share your faith, your reason for hope with someone you know (or don't know)? In recent days I have been working (again) on my old house, tearing out the old tub surround, tile board, plaster and lathe in my bathroom. I knew there were problems, but once the exterior wall coverings were removed I was able to see the real issues -plaster that had turned to sand because of moisture (much of it from a leaky window, not the shower as I had assumed), rotted wood, damaged hardwood flooring and mold. Talk about needing a complete makeover! I pulled the toilet and vanity out, broke up my old iron tub with a sledge hammer and removed it, hauled out bag after bag of plaster, ripped up the old carpeting and subfloor and finally realized just what I had gotten myself into. There have been freinds along the way who had offered to help me but I am inclined to do things myself and not ask for (or receive when offered) assistance. Slowly, I am getting things back together - new plumbing to the shower and tub, new tub, insulation, vapor barrier and cement board up around the tub in preperation for the new, improved bathroom. I still have a long way to go but I'm getting there and feel better just knowing that I have taken action. This is exactly the type of remodel some of us need in our lives. Until we are able to get rid of the masks that we wear and eliminate the fascade of who we want people - and sometimes ourselves - to think that we are, who we really are can't be truly realized. The root problems aren't always obvious, even to ourselves. We need to get before God, open our hearts and fully expose ourselves to Him and ask Him to tear out the parts of us that have become rotten or moldy and take away the debris. And if we have a friend who is willing to help us get there, we need to be open to their assistance because God may well have put them in our lives for this very reason. If they haven't offered their help already it could be because they don't know you are interested in remodelling. I realize as I am writing that I shared a similar theme when working on the outside of my house this past summer, and I am sorry for the lack of originality but can only assume that like myself, some of you out there still have some work to do! My work on the house is moving slowly, but God doesn't always choose to work so slowly when He is in charge of the remodel. 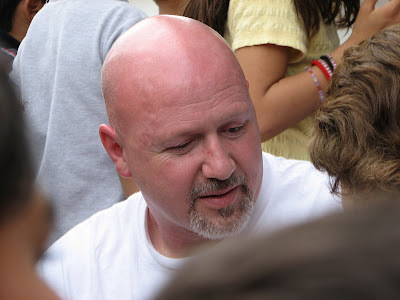 Brent and the team in Mexico are seeing the Lord working through their ministry in a prison, public places and churches. They have seen a number of people turning their hearts over to the Lord -- please continue to lift them up in prayer (you can follow their progress and see photos at awestar.org, look under "trip updates"). P.S. Walker, thanks for clearing up the location of the photograph! Good morning! Brent didn't know I was going to sneak in here and visit a bit in his absence...I was away from my computer for a few days and just read the last couple of entries. Brent (were I to ask him) probably wouldn't admit to me that I was one who had let him down though I know that I have, whether he remembers so or not. I know that I have - both directly and indirectly. Even harder to realize and admit is that I have way too many times let Christ down, He whom I call my Lord and King yet fail to treat any better than a distant stranger when I get busy with daily work and living. The photograph that Brent posted of Pastor Tito and me took me by suprise. Why? I can't place where the shot was taken. That in and of itself doesn't really bother me except that I know that it points to a bigger issue for me. Much of the trip to Peru that I was so fortunate to share in December receded from my easy-access memory after the scare with Brent on the flight home. I am troubled and ashamed to say that the fear that gripped me over those hours has overshadowed the rest of the experience, and I do not want to let it erase from my mind the lessons and good things shared. Satan is so good at using our weak points to his own maximum advantage and sometimes we - I - make it too easy for him. I do not want to be defeated so easily and sometimes choosing not to be isn't as obvious or easy as it should be for a Child of God. I have to ask myself why this is and I know that the main reason is that my focus has not been on Jesus my Lord but on myself, and on getting done what I feel I need to get done so that I can be in a better position to serve Him. When I look into my own heart I know that these are often just excuses or rationalizations. Too often I find myself looking to Him as Jesus the Comforter for whatever is troubling my soul...and that is a role He takes on without a doubt; but that can't be the extent of my relationship with Him, I owe Him so much more than that. As we approach the celebration later this week that marks the greatest event in human history and the thing that sets Biblical Christians apart from other faiths - Christ's triumph over the grave after making the ultimate sacrifice for each one of us personally - I challenge us to closely examine our motives for doing what we are doing at home, at work, at church and with our families and friends. As we do so, pray that He will show us where our motives are flawed or misplaced, and how He would have us reshape them. Pray that He will give us the faith that we should have, that would allow us to act like Laura does in the presence of satanists, or the way BJ did when he heard the Lord say "go". Where are you letting Satan defeat you? It is sad that we let him do so at all, but even sadder when we don't even require him to use heavy artillary. Please do keep the team in Mexico in your prayers this week as they step out in obedience. Saturday morning, we head to her country to tell her people about Jesus! 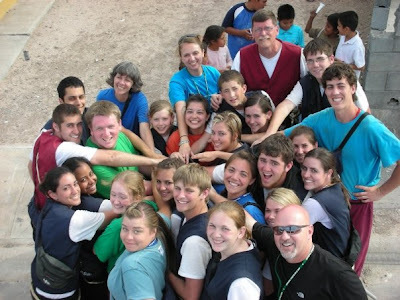 A team of 27 people, ages 13 to 58 have surrendered to take the Gospel to Mexico. While the majority of people on this team are students, there are 6 adults that are 25 or older. Most of them are not in leadership roles, but are acting as team members, excited to be going to talk to others about Christ. The team are from around the USA. Some are meeting us in Tulsa and joining our drive down, others are flying to a border town where we will pick them up. Please lift this team up as I believe the Lord has unique plans for us. Awe Star has been doing ministry in Nuevo Laredo for over 15 years. The church there we work with is precious, as are the people. We have many solid friendships that have formed through the years with them. Please pray for safety in travel, for safety as we move in and among the ever growing population of this border town, where many assemble in hopes of crossing into the US. We have always had His protection here, even though the news would tell you otherwise. Still, we want to be wise, and make good decisions while away. 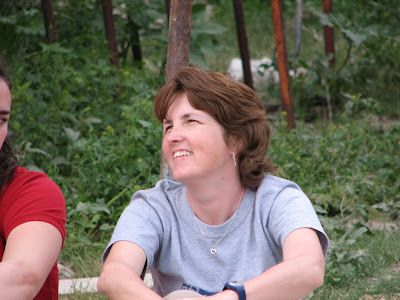 Please lift up Marti Pieper as she excitedly anticipates her first mission trip with us, though her children have been on many, around the world. I know the Lord will use her greatly! I believe we will have much to share upon our return. With the time you might normally spend to come and visit this site, we would appreciate it if you would use that to remember to pray for this team. Deanna will be flying to Houston to visit an old friend and speak to a women's group. Please lift her up as well as we will spend this week (her Spring Break) apart. Whitney is driving to Indy to visit her fiance and Lauren will be here, working. Whitney will be celebrating my Mom's Birthday with her on March 18th. Happy Birthday Mom!!! 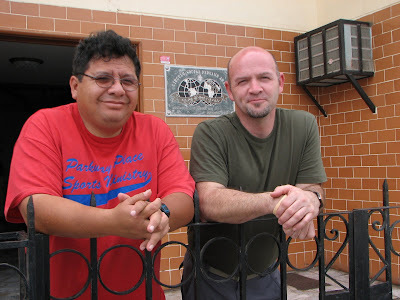 Pastor Tito and my brother, Brad, in Peru. I find myself wondering these days, if the Lord finds me as dependable as I need to find those around me. So much of what I do depends on other people. It is far too easy at times to find judgment in my heart, when there needs to be love, compassion or grace. When I grow frustrated with what at times seems to be a lack of real surrender from others who say they will do something, but lack follow through, I find myself looking at my relationship with Christ, and wondering if I give Him reason to look at me that way. Do I say one thing, and practice something else? So many want to do the right thing. Lots of people say things like, "let me know if I can help." How many times am I that person, that then fails to put any real action behind those words? Sometimes, the fact that I need to depend on others frustrates me a great deal. I enjoy interacting with them, I just struggle with being let down. I know I've talked before about letting your "yes be yes" and your "no be no." I hope and pray that the choices I make in life do reflect this attitude. As a believer, I damage the reflection of Christ others may see, if I say one thing, but practice another. In effect, I am reducing others view of who Christ is, by saying I am a believer but then I go out and live for myself. Making choices in the moment...promising one thing, and then changing my mind to suit my own needs regardless of what commitments I may have made to another. This kind of thing certainly doesn't happen all of the time. When it does happen, it can be difficult to deal with. I am far from a perfect person. I continue to make stupid mistakes in my own life. Why is it that the mistakes of others are always easier to see? I am thankful once again, that I serve a God who extends me grace and tries to teach me to do likewise. I'm pretty good at receiving His grace, I'm afraid I have a ways to go at giving grace. This is one of the things I miss a great deal about BJ. He always seemed to have a deeper understanding about the need to receive and give grace. He spent his life giving it to others. He was a great model for this. I'll admit, it was frustrating at times to see him be better developed in this area than I was. It came so naturally to him, because he had learned to be so surrendered to Christ. I say it. I may even sing it. But do I really mean it? Does my life show it? It certainly needs to...for His sake, for the sake of others, and for my own sake. I have written several times about a young lady named Laura, on the west coast, who ministers to satanists. She is a grad student at a seminary in Oregon. The obedient way she consistently walks out her life is an inspiration. She continues to grow in wisdom, and faithfulness. 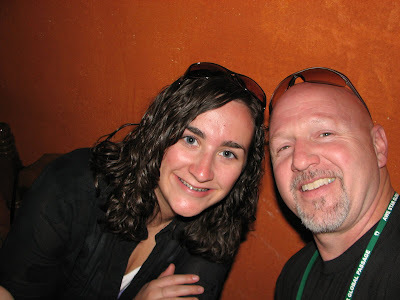 She was on both of BJ's Peru teams, she was with Deanna and me this past summer, and she is one of my leaders on the return trip to Peru this summer. She had a rather morbid dreams a few nights ago. One she did not remember when she awoke. In the dream she had knife in her hands and blood covered her arms and upper body. Yesterday, she and a young man she led to Christ (a former satanist) and his best friend, a current satanist (she has been witnessing to) took a drive to an athletic field where the men wanted to play soccer. They stopped along the route to use the facilities. Laura used those moments to call me to ask me a couple of questions that had come up from this unsaved young man. I encouraged her and told her I'd be praying for her, and we hung up. Later, last evening, my daughter Lauren received a call from Laura. She had had quite an evening! After arriving at the soccer field, the young men engaged in playing. I am unclear as to whether or not Laura joined in. 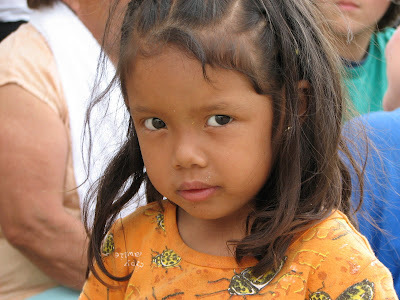 Her primary goal is relationship building and sharing Christ to those in need of Salvation. The young man she has been sharing with, that many of us have been praying for, has unsuccessfully attempted suicide on three occasions. He is asking many deep probing questions about a relationship with Christ. He is struggling to believe all the Bible teaches. He has told Laura that he knows her God has got to be the real way in life, but he is not ready to surrender. Near the end of the soccer play, this young man had the onset of an asthma attack. In his backpack, he had an two epi-pens and his inhaler. The problem was, the backpack was minutes away in the car. Laura sent someone after the backpack. Meanwhile, she called 911 and was on the phone with a paramedic. When the backpack arrived, Laura pulled out the epi-pens...they were both empty...they had already been used. It was too late for the inhaler, he was no longer breathing. 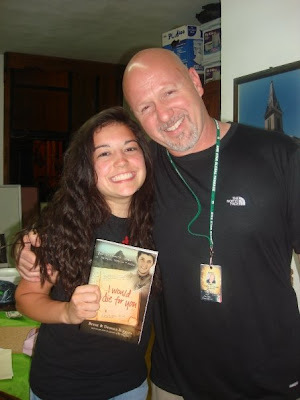 This young man she has invested so much time in, hoping to see him come to Christ, now lay dying on the field. The paramedics were 20 minutes away. What could she do? No air could enter his airway, as the asthma attack had sealed off his trachea. In his backpack she found a visual aid of the throat, and the steps to complete a tracheotomy. The paramedic on the phone told her she had to do it, it was his only hope. He also had the necessary items, a knife, and a pen (that could be emptied and the tube used as his temporary airway) stowed in the bag. Clearly, this young man knew this type of situation was a possibility. Laura took the knife and the pen. Following the guidelines from the visual aid and the instructions from the paramedic, she apprehensively began to cut. Suddenly, amid the blade parting flesh, her dream raced back into her conscious mind. The dream and reality merged. She held a knife, and she was covered with crimson stains. In those moments, adrenalin kicks in. What she had to do overtook her fears of doing it, and she completed the procedure! She breathed life into the lungs of this young man she has battled for on behalf of her Savior. This lost soul who needs Salvation, was physically saved...stolen from deaths grasp, once again. The paramedics arrived and they all headed off to the hospital. Later, still shaking, she called Lauren to recount her story. Do you think she walks in the power of a Holy God? Do you think it was an accident that she was where she was? Do you believe that Jesus wants to see this young man come to a saving knowledge of Him? Do you know that He wants to use each of our lives in similar ways, if we will learn to walk in simple obedience? Please join me in lifting this lost soul before the Lord. He needs Jesus. Praise God for Laura's willingness to do what most of us would never want to. Her acts of obedience are saving lives! In the midst of those who would surrender their hearts to Jesus! (in Mexico). In a world that teaches that any press is good press, as it brings light to a given subject or situation, I confess I have struggled a bit. It is a given that everyone will not agree with the subject, conclusions, or even the methods held within a book. Writers cannot please everyone. We understand that. We even agree with it. What I have found particularly interesting is that among the reviews of our book, one single review keeps appearing in many different web sites and Christian periodicals. Some would say it is the most objective. I don't know if that is true or not as I am perhaps too close to the situation. However, I am perplexed that it is getting more play than others that I believe are more on point. What I can say is that in this particular review, it reflects that my son was reckless and that he encouraged others to be as well. I would say this about that. As I read the review, my sense is that she did not understand who BJ was. He did enjoy life on the edge in terms of his pursuits. He loved to run downhill as fast as he could go. When we hiked, he would find a steep bank and hurdle down it. He did enjoy "thrill rides" at theme parks. From this perspective he was normal and perhaps a bit reckless. However, I take issue with the inference that he was reckless in the sense of ignoring all reason, when it came to sharing his faith. He was Spirit led, and that without a doubt found him following to places others would not consider going. However, it was never his goal or attitude to make foolish decisions that intentionally endangered him or his team. When the Lord moved in his heart, he was obedient. We all should be. Yes, sometimes that will find us in places that others could call reckless. However, if we focus on words to describe the event rather than what God did in those events, we walk away with a skewed understanding of what really happened. Perhaps that is what I am doing even now. I know BJ followed hard after God and that he willingly walked into situations that made him uncomfortable, because the Lord had spoken to him. I wish more of us would do the same. I went through a period in my life when I felt invincible. I felt that since God had called me into ministry, I could do about anything and everything would be alright. I soon learned that following God where He led would always bring Him glory, but following my own desires would often bring about the wrong result...glory to me. That always brought struggle. BJ knew this, we openly discussed it. It was not his intent to foolishly go anywhere and bring glory to himself. Did he do that sometimes? Yes. Was it the prevailing message of his life? No. His life was about obedience. He was responsive to authority, even when he didn't agree. 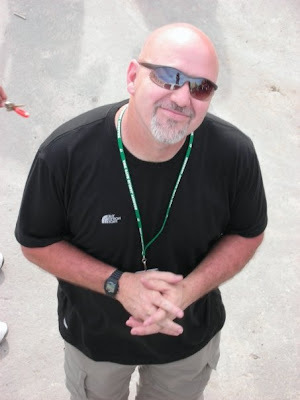 He was responsive to us, to his teachers, to his coaches, and to others who were in authority in his life. These are not signs of someone who is reckless in life. He hungered deeply after the things of God. He pointed others in that same direction with his words, with his writings, with his life. While I can think of reckless things he did in his life, I also know that comparatively speaking, his recklessness was far less dangerous in general, that what many around him were involved with. His recklessness was primarily about following God where He led. He spoke to policemen, gang members, transvestites, principals, teachers, coaches, nurses and people like you and me. His message was the Gospel. His heart was love for others. If that is reckless, then BJ was. He did not encourage others to be foolish or reckless in their approach to life. He encouraged others to follow Christ with abandon. Those two things are not equivalent though they may sometimes be cast as such. Recklessness results in difficulty and pain that was measurable before a decision was made to perform an act. His abandon pointed people to Jesus. That cost him his life, but not because he was reckless. It cost him his life because he was obedient. Should you read such reviews, please understand the difference. 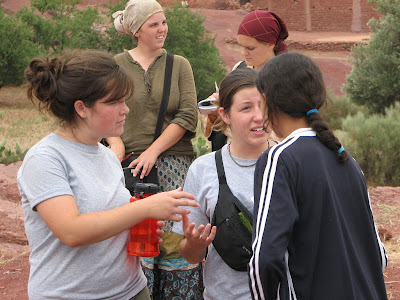 Lauren and Whitney build a relationship with an Amazigh young lady. I had the privilege of speaking to a mission team that is leaving for Trinidad soon, over the weekend. The team is made up of 30 students and adults. I had the honor of commissioning them. What an encouragement to have the opportunity to help others embark on a mission of obedience! Tonight at 7:00 CT Deanna and I will be interviewed live on the Thor Tolo show (KGNW) in Seattle, Washington. This is our second opportunity to speak in the Seattle market. I am afraid I have done a rather poor job of keeping you informed about the radio interviews. Most have the capability of listening live from their websites, regardless of where you live. This is the last currently scheduled interview. We have completed about 20 over the last couple of months. We have been blessed to be on the air from Seattle to Orlando, and from Worcester to Las Vegas as well as many points in between. What an amazing experience...what an Awesome God! One of the things that you pick up on in working with students for many years, is the ability to tell which ones are really focused and which ones are going through the motions for the experience. One of the keys, is their attention to the Word. Two years ago, in Mexico, there were three students on our team that caught my eye. They did so, because of the stark contrast between them and the others. It was not a matter of good and bad. It was a situation of good and best. I am not sure I am going to be able to properly convey what is in my weary head this morning. What I am trying to say, is that when students are following hard after God and have a passion for what they are doing, they stand out. BJ stood out. These three, stand out. It doesn't make the rest of the team poor missionaries. It simply reveals that we all have different commitment levels in our walk with Christ. Those who are completely sold out, display this without trying to. It becomes evident in the very way they live their lives. Certainly, there are pretenders...those who try to make everyone believe they are deeply committed. Unfortunately for them, most around them realize that there is a lack of connection between the front they put on and how they actually live. These three were usually in the Word together at each break. If they weren't in the Word they were circled up praying. This stands out in contrast to others who are in fellowship together. There is nothing wrong with fellowship. It's just that those who cannot get enough of Jesus, seem to hunger more deeply for Him, and the time they spend together is in pursuit of His desires not their own. We all need down time. We all respond different to intense ministry situations. 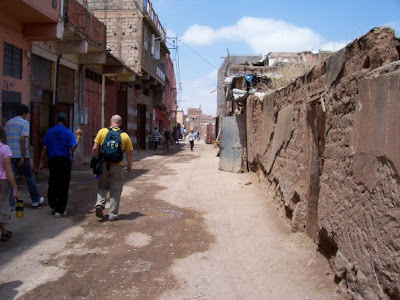 The mission field on a short term trip is usually intense. There is so much to do, so many people to connect with. You are looking for every opportunity. Being prepared for those opportunities is what it is all about. The three stood out because they were routinely using their down time to connect with the Lord so they could be better prepared to spill Him into the next opportunity. Again, I am not saying the other missionaries were poor. I am saying these three were the best prepared because they were in His presence seeking hard after His will at every spare moment. I want to live like that, and I don't. I want to be the best prepared so that I do not miss out on opportunities to share my Savior with others. At 18 or 19 , these three have now served in a half dozen nations around the world. They do not lead charmed lives. They have struggled through some very intense adversity and continue to overcome. They overcome because they return to the Source for refilling. They walk with Him more closely than most. Their lives reflect who Jesus is, and what He wants to do with each of us. They yield and He ministers. They yield and He ministers. They yield and He ministers. Those who are the best ministers are the most yielded to Him. Deanna plays the drums at a rooftop celebration in Africa (top). 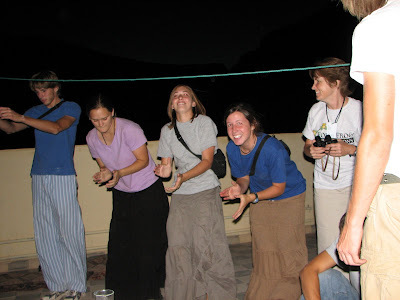 Whitney, Deanna and some of our team dance a Ha'wash, as taught to us by the locals. one of the legs was sporting a spot. This particular spot had been treated, and then mysteriously, grown larger in the wash. I don't profess to be an expert, but I am pretty sure that is the opposite of what is supposed to happen. She was frustrated and concerned as to whether or not her pants were ruined. To be honest, I trusted her that there was a spot, but I could not make it out from about three feet away. I told her it was "no big deal," and to go ahead and wear them. She did. To my knowledge, none of the children she works with (two of my three girls work with children so you are still trying to guess which one) threw a penalty flag and called her out for having such a stain. I was thinking... I know I tend to take ordinary, even silly things in life and turn them into something... about how often we allow the world to infiltrate our lives and leave a mark on us. We know that when we give our hearts to Christ, He removes all sin and stains from us. We are clean, pure, new, and righteous because of Him. This is fact. However, many of us walk around bearing scars from who we were. The enemy seeks to make sure we don't forget. Though our Savior has forgotten our past, we never forget. Sometimes we remember too much. We struggle to disassociate ourselves from who we were. In effect, we sometimes walk in our old flesh. The Word tells us in James 1:27 to "keep oneself unstained by the world." Because we are new creations in Christ, we walk as unstained beings. We have His righteousness, His Holiness imputed to us. We can walk in confidence and detach ourselves from who we were. None of us will ever forget the filth and vile ways we used to walk, but we are set free from those things and can bear witness for Him and what He has done in our lives. Those stains, those scars that leave a mark on our bodies here, will not follow us to Heaven. Someone reminded me recently, that in Heaven, only Christ will bear scars. Praise God, we are truly and completely set free, if we allow Him to perfect us, and then walk it out. Some of us need to release our attachments to the identities from our old selves, and allow others to see the New in us, the Jesus we love an serve. We are no longer stained by this world, unless we invite it in anew. We must hold the world at bay. He forgave our pasts... we need to forgive ourselves, and carry on. Enjoying the beauty in North Africa! I was talking with some friends yesterday about raising children. We were discussing the different ways children find comfort. We talked about the fact that some use pacifiers, others use thumbs, and I was thinking about the role even their favorite blanket plays in their young lives. From an early age, we often quiet our babies with pacifiers. Somehow that brings them contentment where moments before, rage seemed their best friend. One of my children found her thumb when she was very little. She didn't think much of pacifiers. All three of my children had their favorite "blanky." I remain amazed at the calming effect these items have on getting young children to fall asleep. I can remember watching one of my children search desperately for just the right corner of that blanket. She was frantic, until she found it. Then, p-e-a-c-e. Her whole body would relax at the realization that she had found it. These tools...thumbs, pacifiers and blankets...serve a positive purpose in life, that is, until they are too old to be using them. I still remember the "fight" it was to get my children to begin to go to sleep, or find comfort when upset, without these items. The thumb was the hardest. It was always there! We pleaded, we bargained, we made deals...none of that worked. Some say we waited too long, that had we started sooner, it would have been less an issue. I don't know, maybe they are right. I still remember when my pacifier was removed from my life! It was a most tragic an infamous day in my life. I was three or four and my "Binky" fell behind my grandmother's dryer. I went to get my parents so they could rescue me. They wouldn't. I tried to get my grandma to help...she wouldn't. None of the other guests would help me either. I am pretty sure they did this primarily for entertainment purposes (their own). I remember standing with my little head smashed against the wall reaching with my little arm as far behind that dryer as I could get it, but I couldn't come close to my "salvation." I wept. I mourned. I wanted my Binky! As I relayed this story to my friends, I remembered 1 Cor 3. You remember the passage. It talks about still needing spiritual "milk," when we should be on solid food. It reminded me how often we tend to cling to those things that bring us comfort in our lives, when we should have been able to lay them down and walk boldly in His truth. We often prefer comfort, over truth. We learn it from a very young age. The truth is, I was too old for a pacifier. The reality was, I didn't care, I wanted the comfort that it brought. On that fateful day, I was forced to grow up. I wasn't quite taking on the responsibilities of a man, but I was certainly making strides in laying down that which I wanted desperately. Yeah, I know, I didn't have a choice. But I still did it. We do have a choice today, and we need to behave as adults on solid spiritual food. The days are past when we can afford to walk around as adults who still need mother's milk to survive. The picture that conjures in my mind is a ridiculous one, yet how often is it accurate? There may not be anyone hiding our comfort from us. There may not be anyone refusing to bail us out of our self made predicament and restoring comfort to us. It really doesn't matter. We need to embrace the truth, and walk as adults. The truths of His Word set us free, and we no longer need the old faithful comforts to survive. We have to be willing to let them go. When we do, we begin to walk as Jesus did. Prayer is such a vital part of ministry. A year ago, I was in Mexico with a team who gathered in the back yard of a willing host, to portray the gospel, through the performing arts. Our team had been billed as the main attraction to an event that had brought out many people. Hundreds were wedged into this enclosed area. As my team began, I was overwhelmed at the lostness that was amassed into one place. The desperation for truth that creased the faces of most of these people, brought about a deep sense of humility, brokenness and purpose. One could not move as bodies were pressed in so tight. Normally, this might have brought about a claustrophobic reaction for me. Not this time. God had delivered a powerful sense of purpose in this place. While I could not move...I couldn't even turn around to watch my team...I could pray! I wasn't alone. The stage was so small that we had to reduce the number in our drama, significantly. The rest of us prayed. As always, God was faithful! The team finished up and the assigned student shared the gospel with the crowd. Hundreds came to Christ! It was one of many amazing moments from that week, as we saw the masses give their hearts to Jesus! We connected most of them to a local body of believers for discipleship before we left. I am amazed that we can cross a nearby border and see the level of spiritual hunger increase exponentially! The wealth in our culture has far too many people lulled into a false sense of security and hope. In a little over a week, I will be returning to this same area with a team of over 25 students and mature adults. I believe God has a dramatic work to do through these who have responded to His call on their lives. This team leaves Tulsa on March 15th for a week of serving the Lord, by going. Won't you please serve, by praying (until you can go)? Perhaps next time, you can join us! There is no doubt that at times our passion for Christ burns brighter than others. In the past few weeks, I have had the privilege of seeing God move in some pretty powerful ways. I have seen lives set ablaze by the transforming power of the Holy Spirit. It is the coolest thing ever. In our lives we experience ebbs and flows emotionally. There are times we are up and times we are not. Most of us would prefer to be consistent. We would enjoy being "up" more often, if is could be so. When the Spirit of the Lord moves within us, we experience power that we often express emotionally. We do so, because we were created as emotional beings. However, there is a difference between emotional highs, and the burning presence of the Holy Spirit within our lives. Understanding the difference can help us deal with some of the lows we experience. When the Lord fills us up, He does not expect that we will keep this to ourselves. We are filled so that we can share the experience. This in turn, has impact on those we spill it on. Encouragement is naturally drawn from a shared experience, when others get to see what God is up to. He intended for it to be this way. He is with us always, but we often don't feel Him. We are prone to making the mistake that if we don't feel Him, then something is wrong. That somehow He has left us. We are the temple of the Holy Spirit. He inhabits us when we invite Him to be our Savior. We take Him with us everywhere...even the places He would prefer not to go. What we need to remember is that when we sense His presence less, it does not mean He isn't there. When we gather together for worship, teaching, fellowship and prayer, the presence of the Lord is often sensed in intensity. We can think of it this way...when you are near a campfire, and the flame is hot and expressed in various hues, you often have to withdraw from the heat, but you enjoy the beauty of the expression of color, as well as the experience around the fire. When you leave, you even carry the aroma of the fire with you. Others know where you have been, because of it. However, if you are present at that same fire, and someone separates the wood, and spreads it out so that it is not consumed together in flame, the embers glow for a time, but then wane. The heat dissipates, the flame disappears and soon, you are staring at a charred piece of wood, stripped of it's beauty. When we allow ourselves to be separated from the body (of Christ), and we are no longer finding it important to be present with other believers, what is left has lost its glow. The flame is gone. The brightly colored hues previously expressed in concert are now a scarred representation, looking more like a battered vessel then a white hot ember. It is Christ in us that forms the beauty of who we are. When we forsake the fellowship of believers and chase down lanes, void of His presence or that of others who reflect Him, we tend to wane. The fire of Him who burns within us reduces as we begin nurturing the wrong things in our lives. I have seen God manifest callings in the lives of believers who short days later, stop believing in what God did. They stop believing, because they are withdrawing from the body and embracing conventional worldly wisdom. We need to remember that this is called foolishness, in 1 Corinthians. When God calls us, His calling is secure. It is we who allow confusion to enter the picture as we begin to take our eyes off of Him, and begin to listen to those around us who don't reflect Him. The enemy is the author of confusion. He gains great footholds in our lives when we decide to do our own thing, over remaining in fellowship, and experiencing the multiplied burn of His presence (as we fellowship together). If your flame has lost its beauty, it isn't because you have been abandoned. It is because you have moved away from the source of the fire. We are embers. He is fuel. We cannot burn in the brilliance He has created within us, without Him. Walking the streets of North Africa, with the nationals. Walking the streets of a new city, in a new country brings many things to the surface. You are aware of how much you must depend on the Lord. You become aware of the depth and richness of tradition and history in each place. Your eyes are keenly drawn to things that are very different. Each land has a display of its wealth in people. People of different means. Some with much, many with little. The children of every land draw my attention. They have learned to make do with little. They occupy themselves with whatever they can find. They are creative and come up with games on their own, if they cannot afford what society entices them with. They usually stop to acknowledge presence of Americans. Many want to engage us for a time. A discarded can becomes a "futbol," or a bald head, a "genies lamp." Fun is to be had in the streets of foreign lands. The universal language is love, and when it is invested by the giving of time, relationships begin and doors open for the sharing of what is most important. The hunger for truth is present everywhere. It is often masked behind the faces of curiosity. Whether hiding behind veils in some lands, or false self assurance in others, there is a hunger for what is right, what is real, what is true. These lands are filled with people who are searching. The eyes of most are hollow and empty. There is a sadness that resides behind toothless grins or expensive smiles. In the deepest places of their souls, they do not yet know truth. They mostly know oppression and unsatisfactory substitutions for relationship. Many nations make their attempts at reaching God. Most through man made religions that seek to bridge the gap through works. There is satisfaction if working. There is a feeling of worth and value that comes from doing things. However, this is fleeting. One is only as valuable as the last work, they completed. A person must continuously strive to do more to earn the relationship that will transport them to Gods presence one day. If they practice their religion faithfully, they may one day make it to heaven. BJ wrote, "God is not religion, but reality." He understood that God brought restoration to each of us through His Son, Jesus Christ. A relationship with Him is not earned. It is a free gift, brought to each of by grace through faith. This is harder for most of us to reconcile. We get something as radical as "Salvation" for no investment? Many struggle to embrace this as Truth, and yet this is the Truth of Jesus Christ. The reality is that once we have given our hearts and lives to Christ, we want to invest. We have an inner desire to follow Him wherever He leads. For some, this will be to foreign lands where the streets routinely fill with lost souls. For others it will be taking the Name of Jesus to their places of business or to coffee with a friend. When our lives are transformed by Truth, we are changed from the inside out. Where selfishness previously resided, a heart for others, deepens. Love is patient and kind, and seeks to meet the needs of others. When you walk the streets of your own neighborhood or a land far away, don't focus on doing things, focus on spending time. Reach out to the lostness that resides behind made up games or made up faces. Both are hungry. Both respond to time...to love...to Truth, and the reality of Jesus.